Welcome back for another sneak peek of NEW products coming to Taylored Expressions this Thursday, August 8th!! Today I am featuring a new die! It is called the File Folder Die. I also used quite a few other new products on my card for today. I decided to create a birthday card for someone who is turning 50 and isn't exactly happy about it! 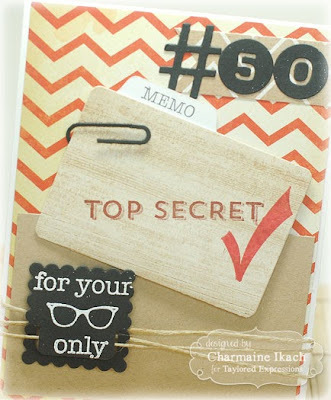 :) I thought they would appreciate the "Top Secret" birthday card! LOL The papers are from The Pier Collection from Crate Paper. I die cut the file folder using the File Folder Die and then stamped "memo" , "Top Secret" and the checkmark from the NEW Office Ephemera set onto the folder. Notice the little paper clip? That's from a NEW die set called From the Desk Of. So is that big # sign up top! It's an adorable die set that has all those little office supply doo dads. The "For Your Eyes Only" was stamped onto a little tab that was created using the NEW Clip It On Die Set. This is a set of little clips in different shapes and sizes that is so fun! Another new product I used on this card is the Circle Numbers Die Set. I die cut the "50" using this set. 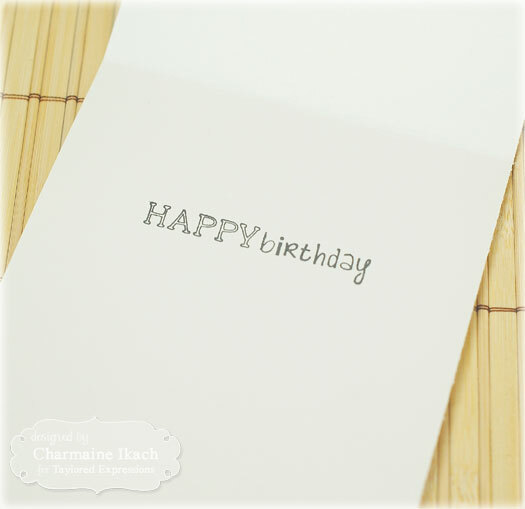 On the inside of the card I stamped "Happy Birthday" with a sentiment from the NEW Workplace Wishes set. That's a lot of new products on one card, isn't it? Well, that's because they all coordinate so well! I just loved being able to add little paper clips or clips onto this card. And I love that it's for a birthday rather than a coworker or office-related occasion. You can see more peeks of new products by visiting the rest of the Baker's Dozen!! 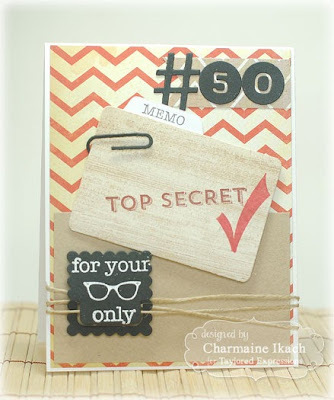 Love all the elements you used to make this awesome birthday card, Charmaine...especially the numbers dies!! !